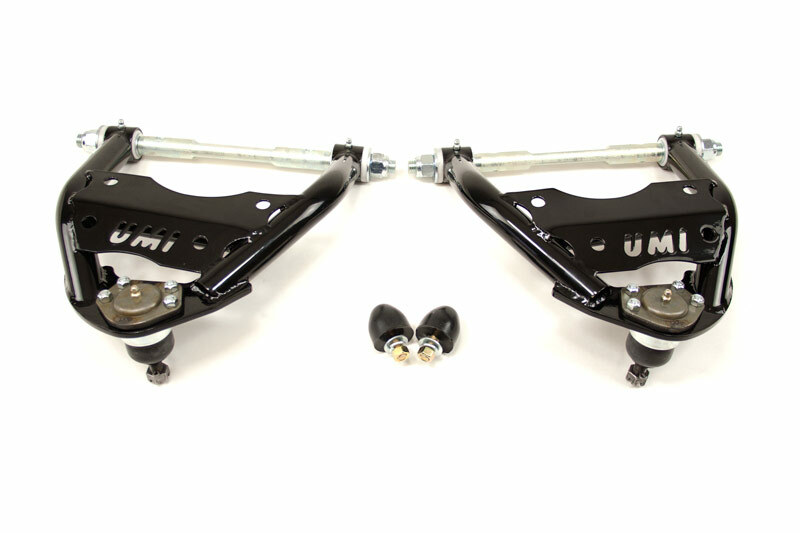 UMI Performance Stage 1 handling kit includes heavy duty UMI sway bars with new end links and greaseable bushings, Bilstein HD shocks for all four corners and a set of Eibach Pro-Kit lowering springs. 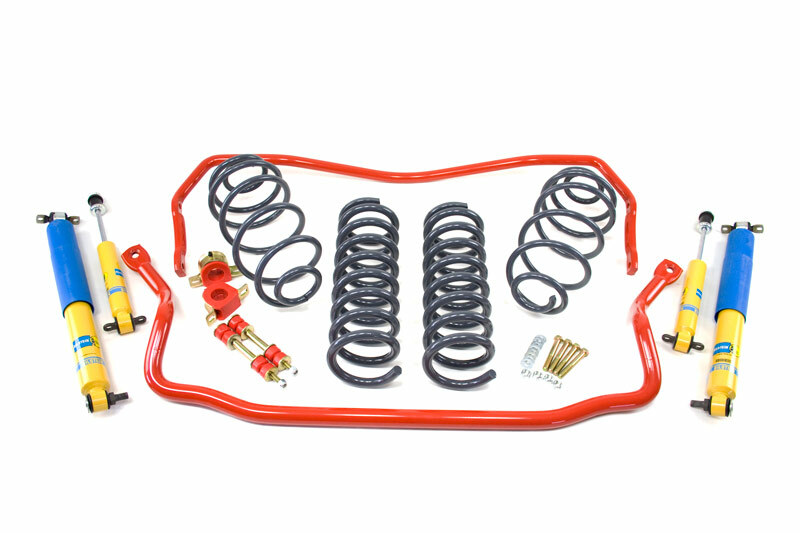 This inexpensive kit offers great ride quality and improved handling while giving your muscle car the stance you want. 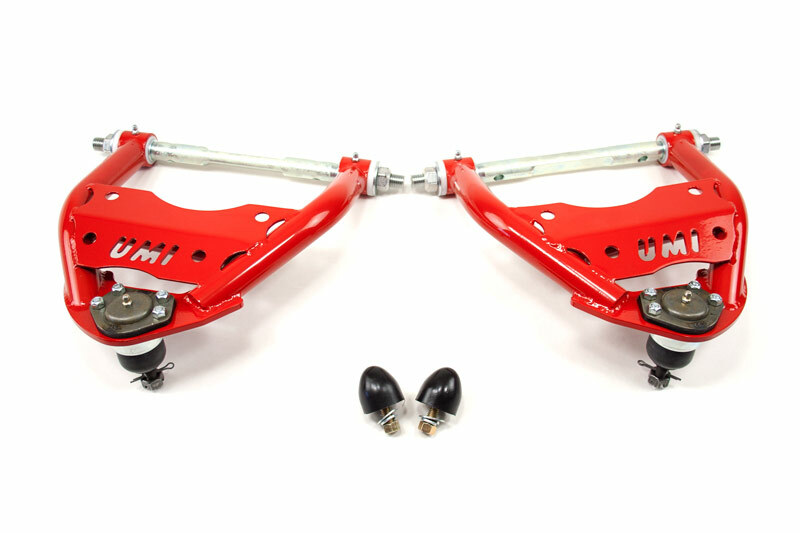 Sway bars are available in a durable red or black powder coat finish. Save $30.00 when purchasing these items as a kit!